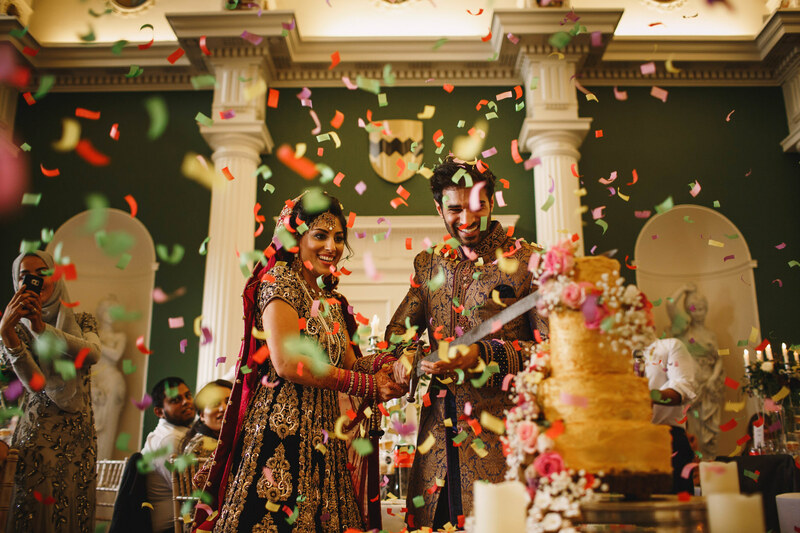 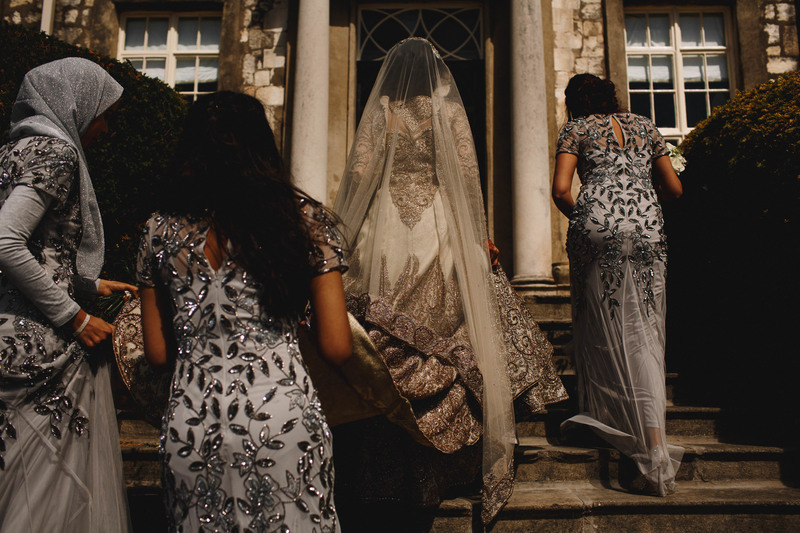 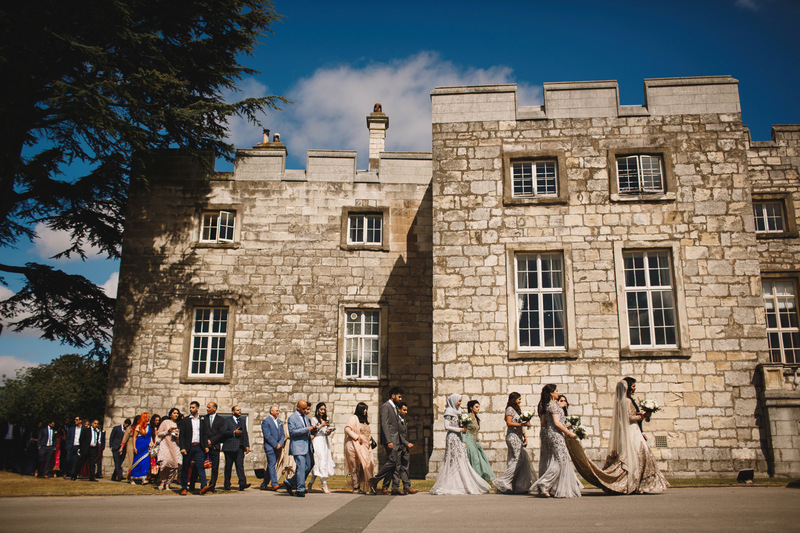 My first Muslim wedding and my first wedding at the amazing Hazlewood Castle, a beautiful castle just outside Leeds. 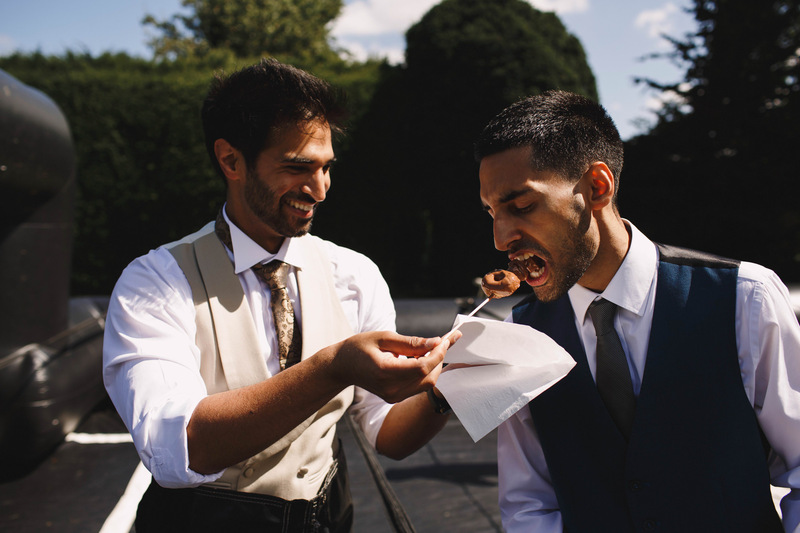 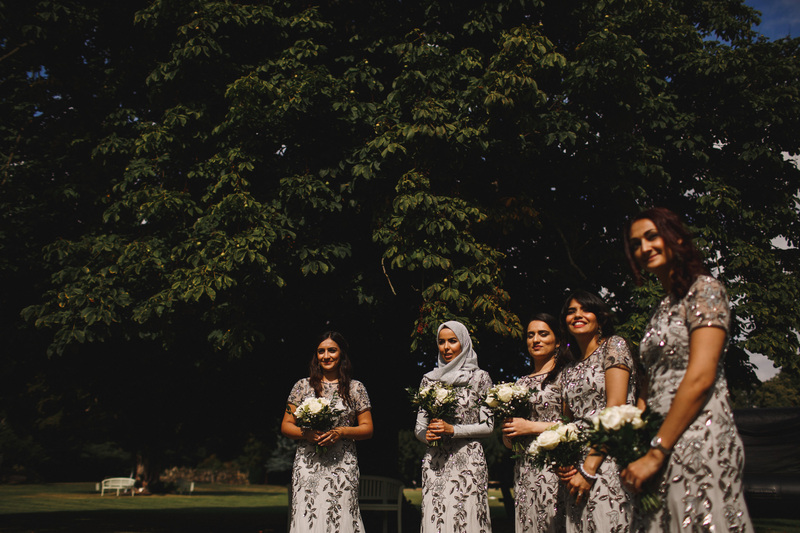 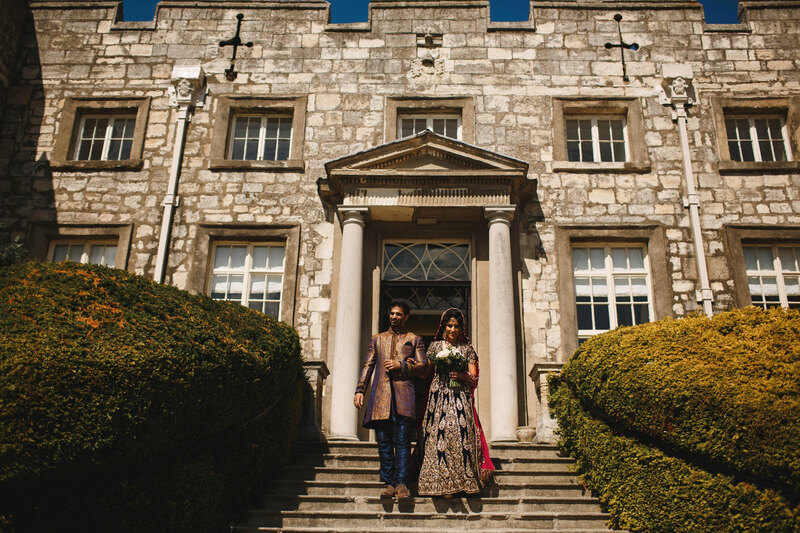 Ireen and Saqib only booked me for their wedding around two weeks earlier so instead of a weekend off (which just feels weird in mid-wedding-season) I found myself at Hazlewood Castle on a glorious sunny day! 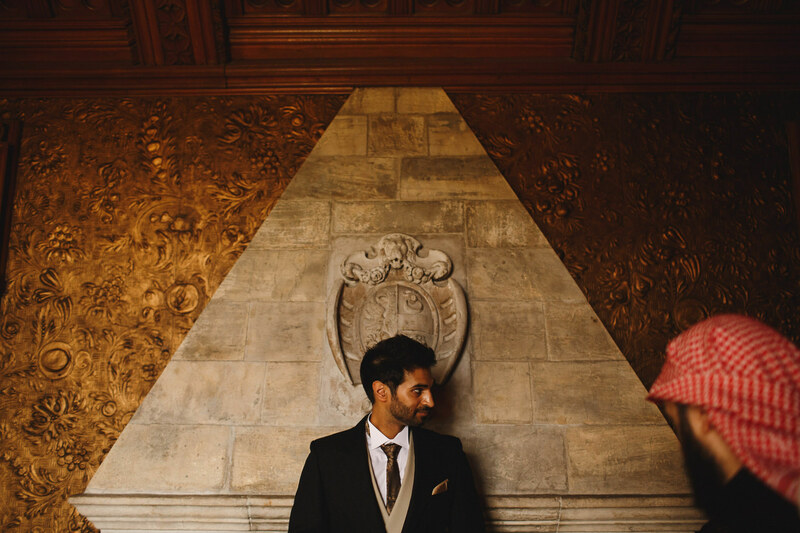 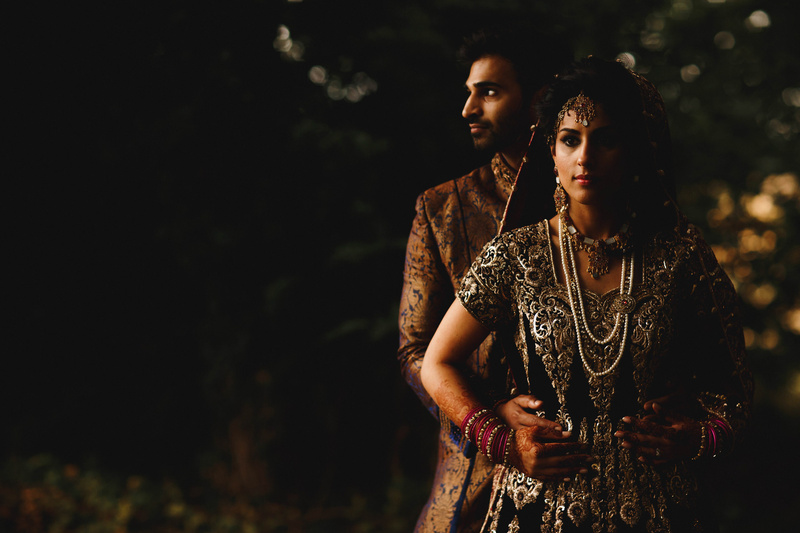 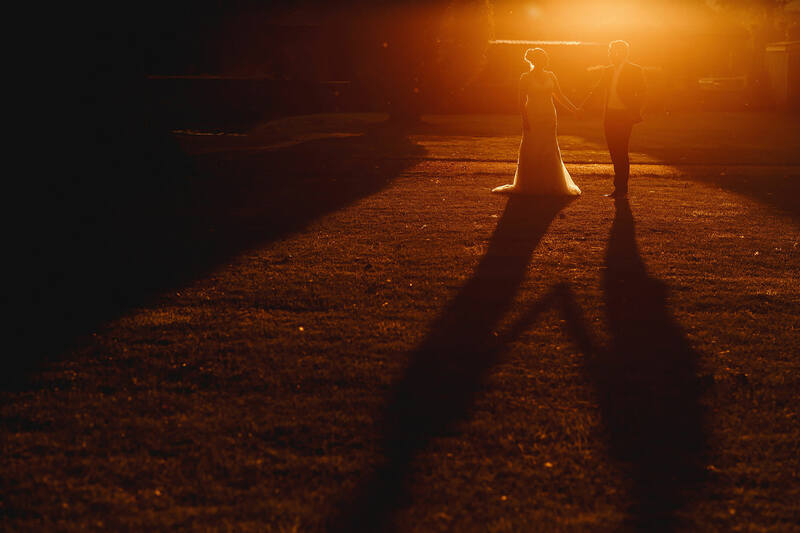 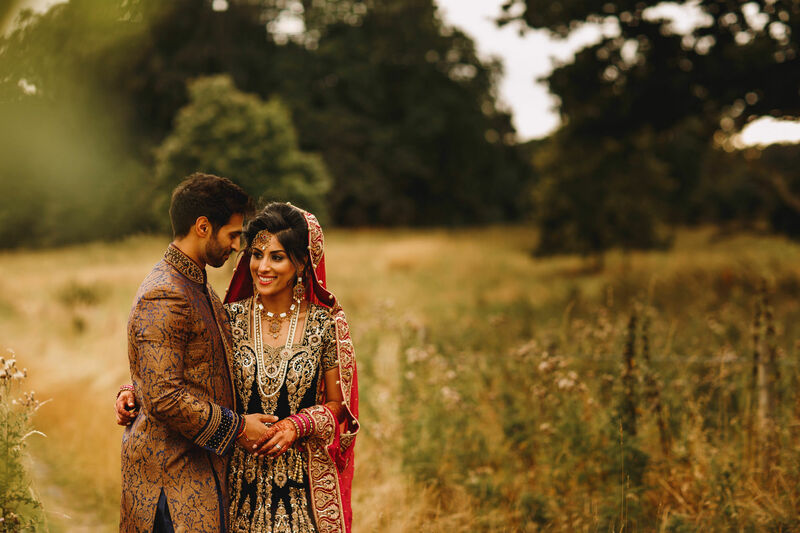 Ireen and Saqib spent the whole day at Hazlewood Castle, from getting ready through to some evening portraits in the golden hazy evening light. 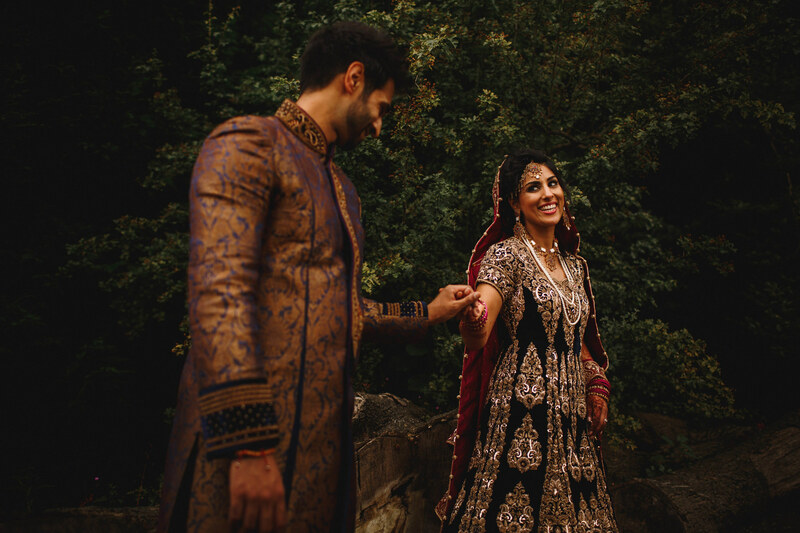 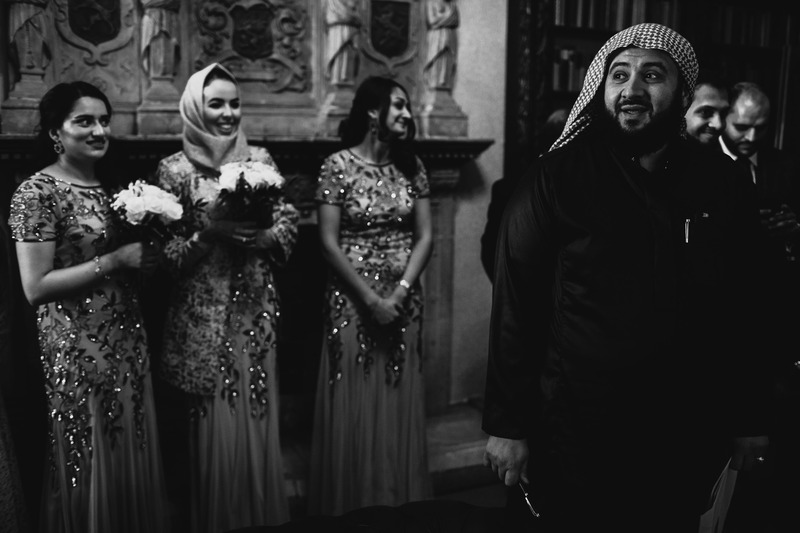 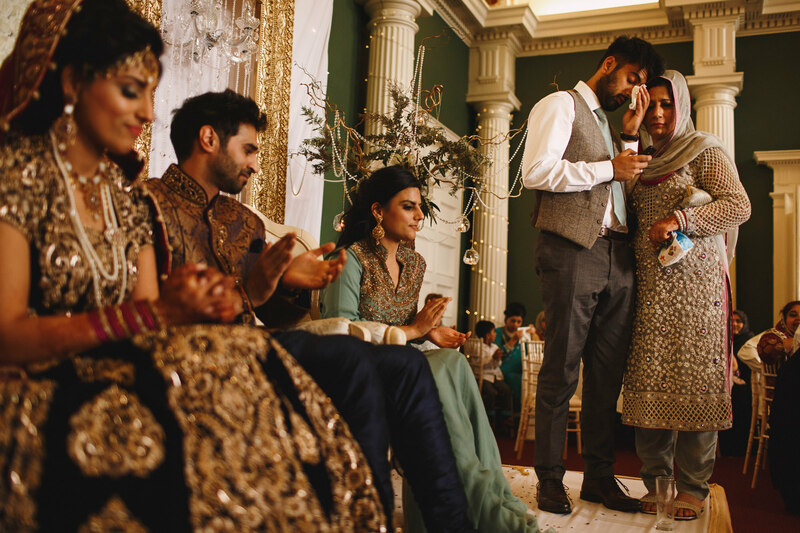 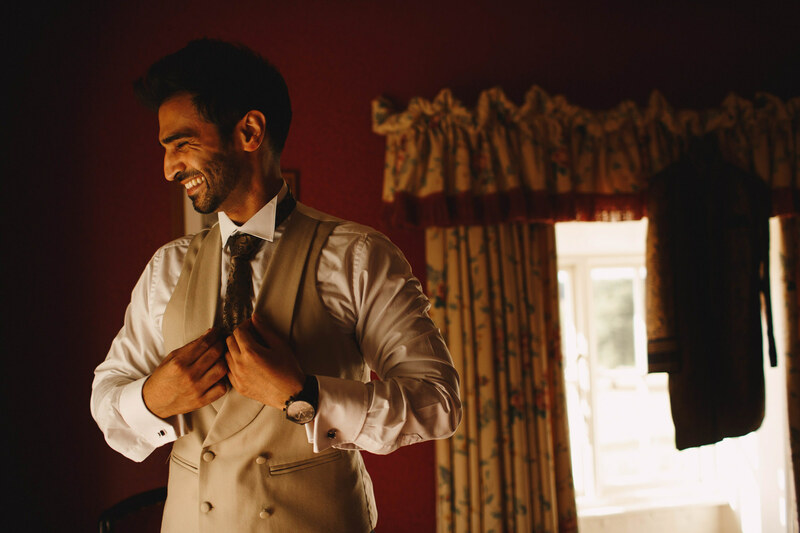 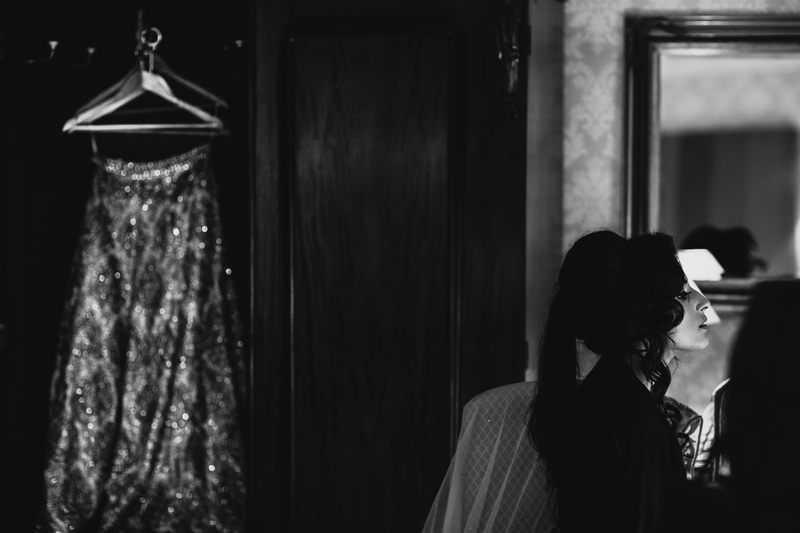 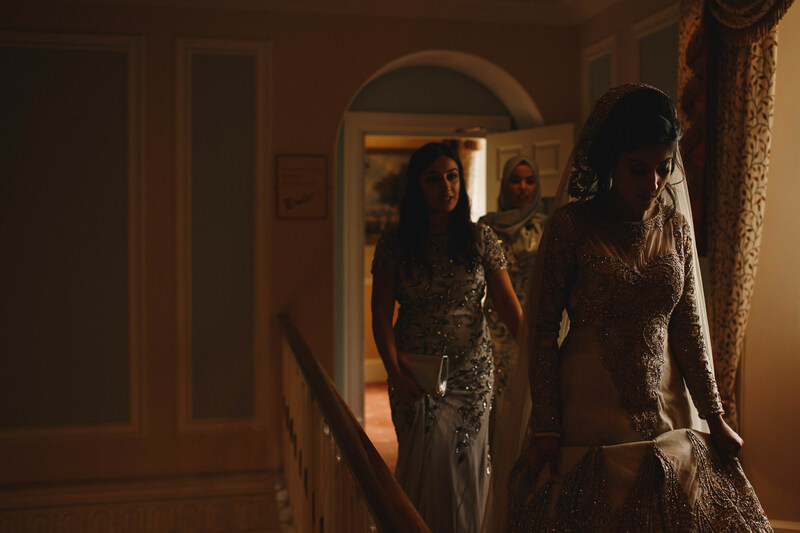 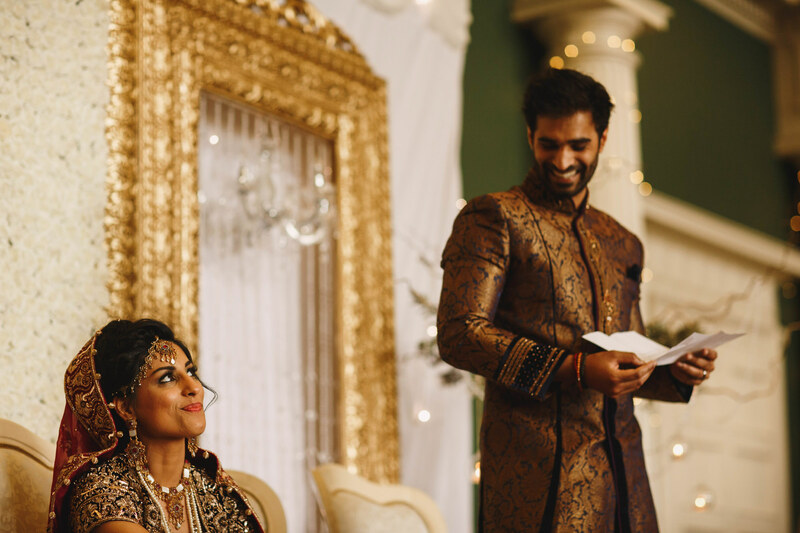 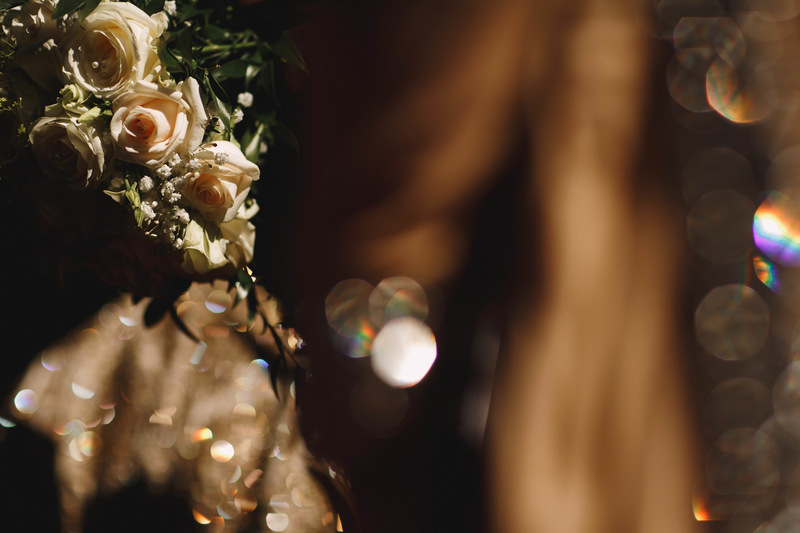 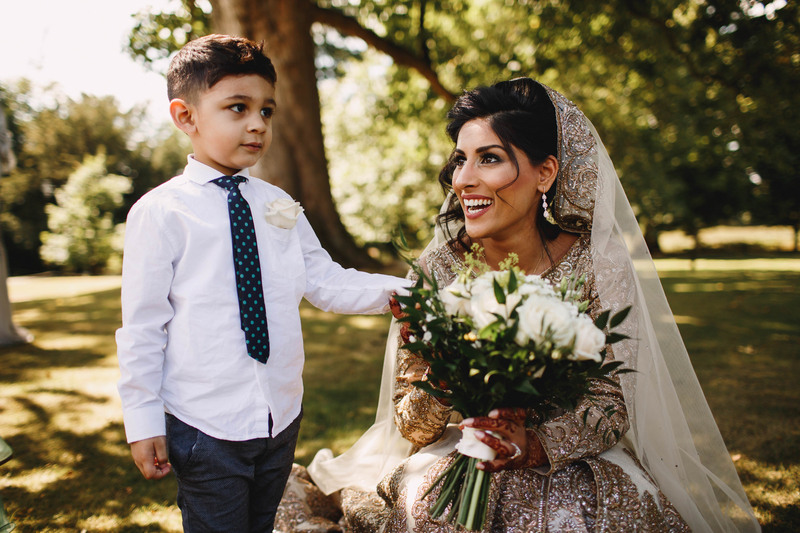 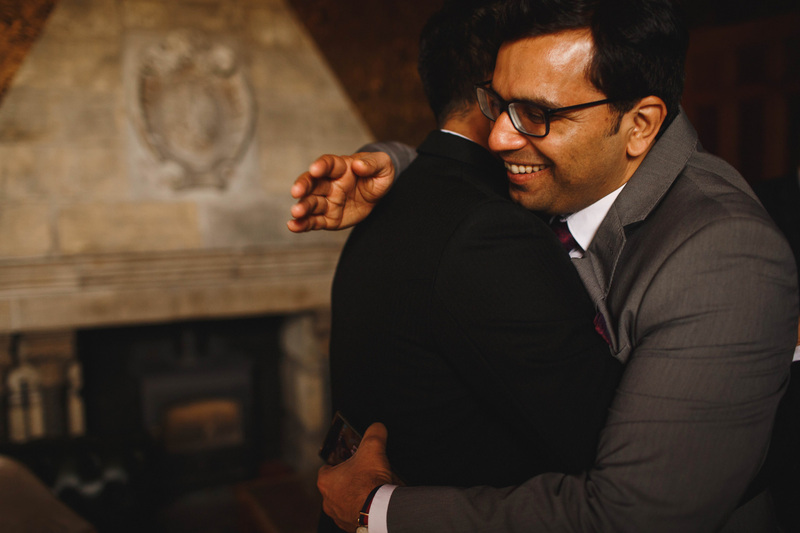 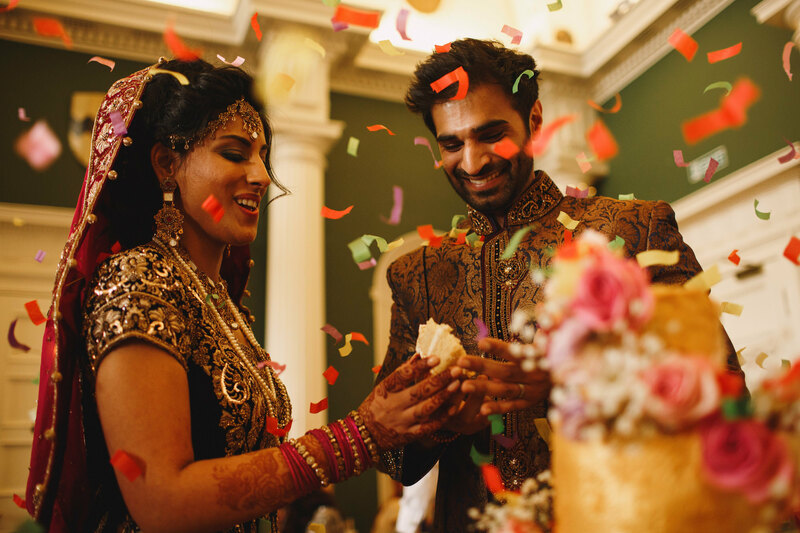 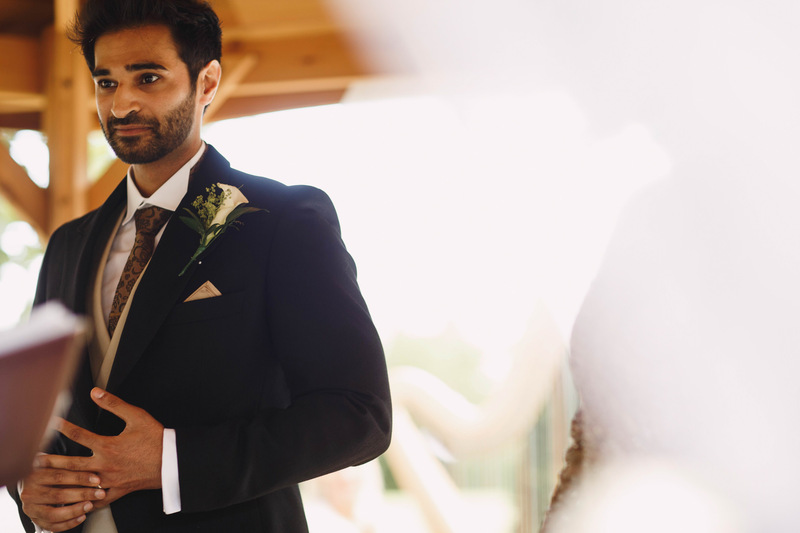 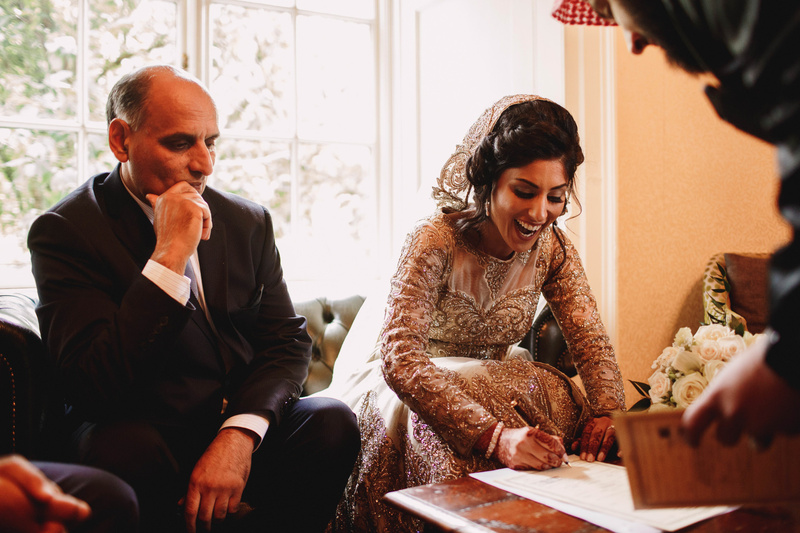 I started the day with Ireen as she had her hair and makeup done in one of the rooms at Hazlewood Castle and nipped out to see Saqib for a bit as he put the finishing touches to his own outfit ahead of the Nikkah ceremony. 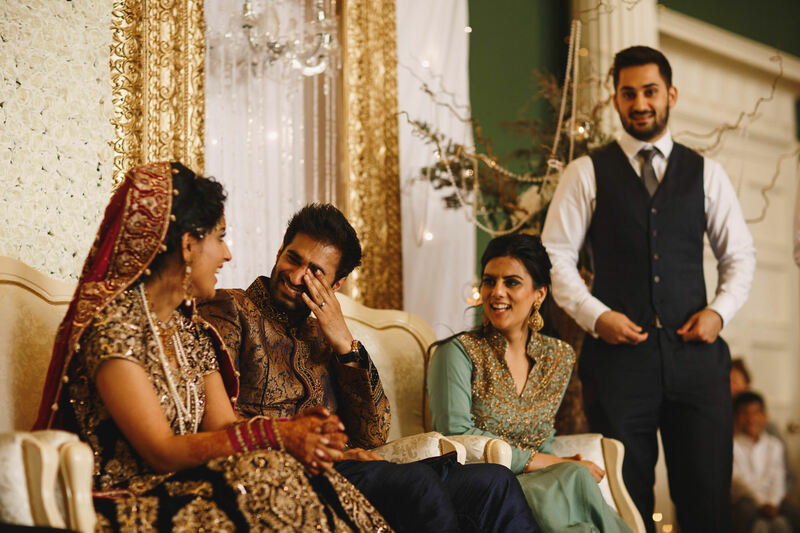 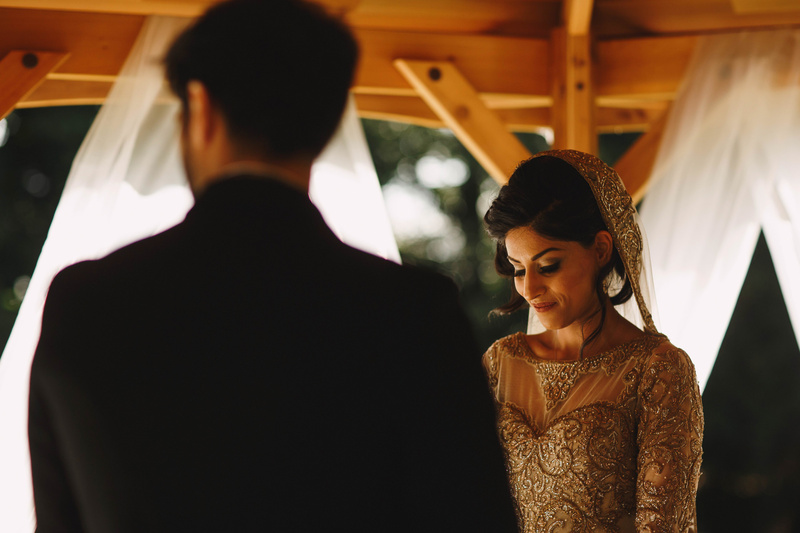 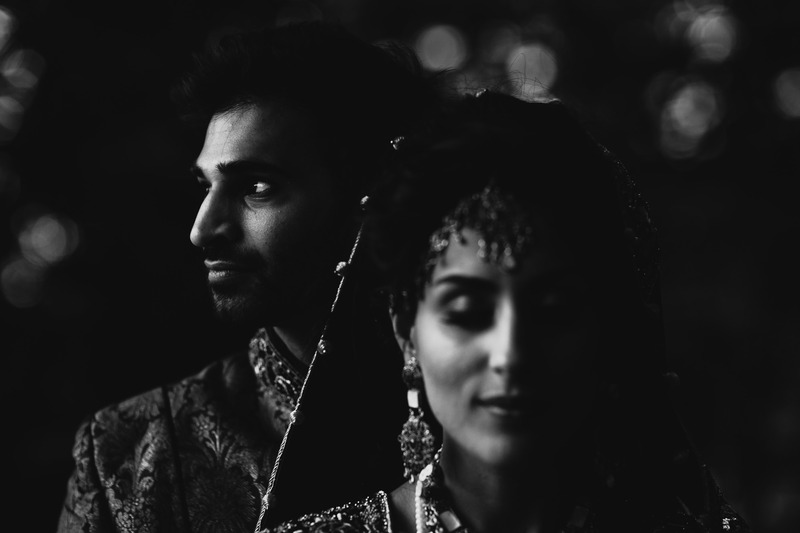 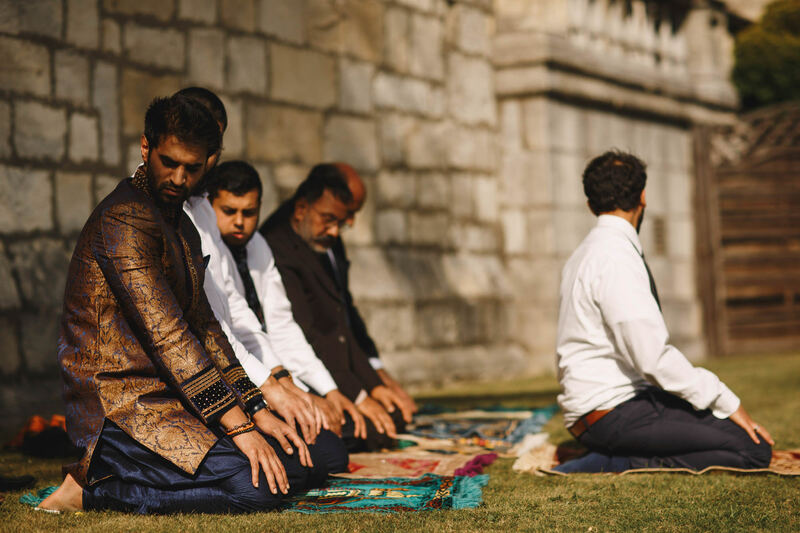 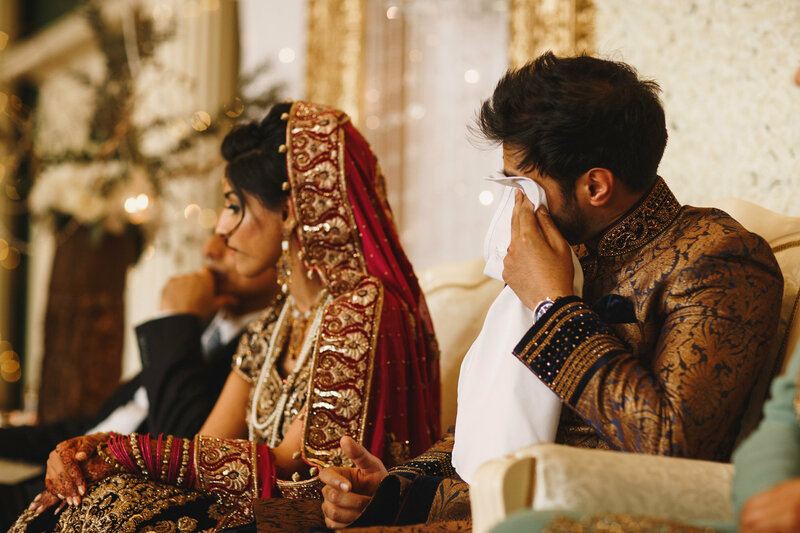 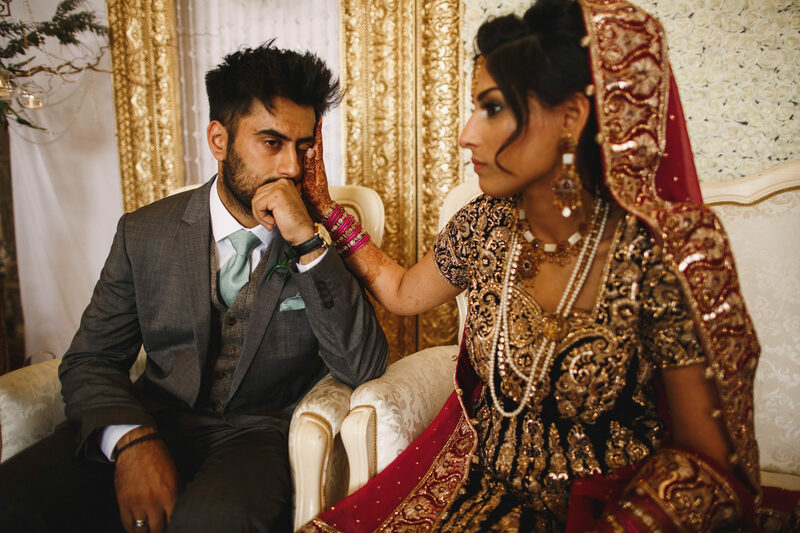 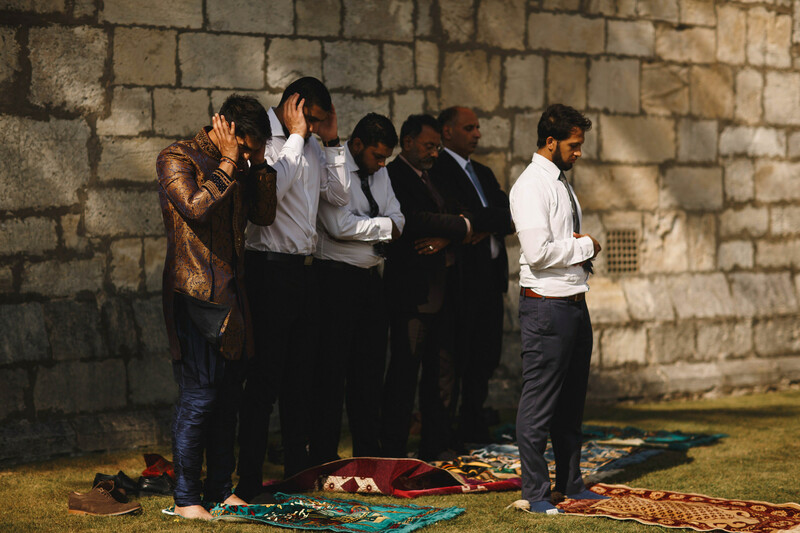 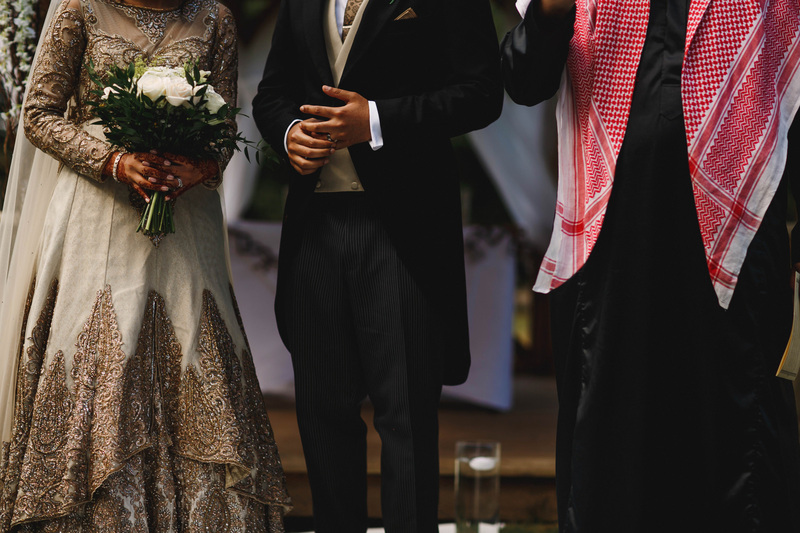 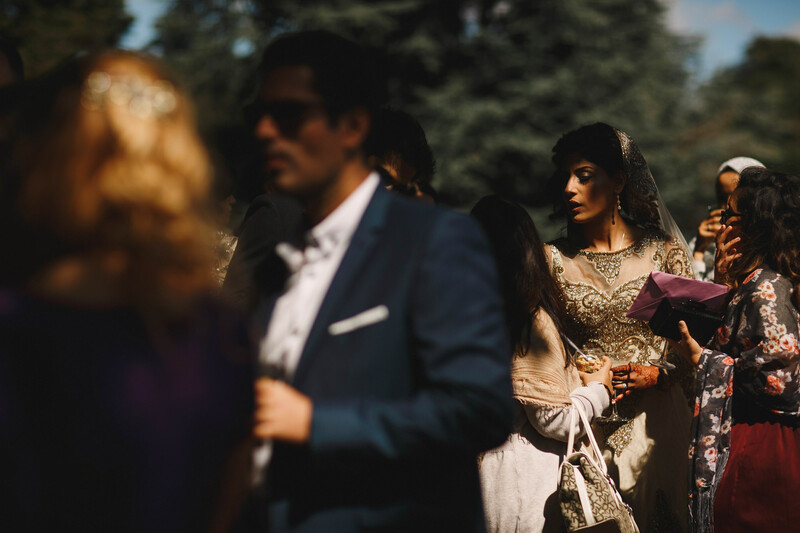 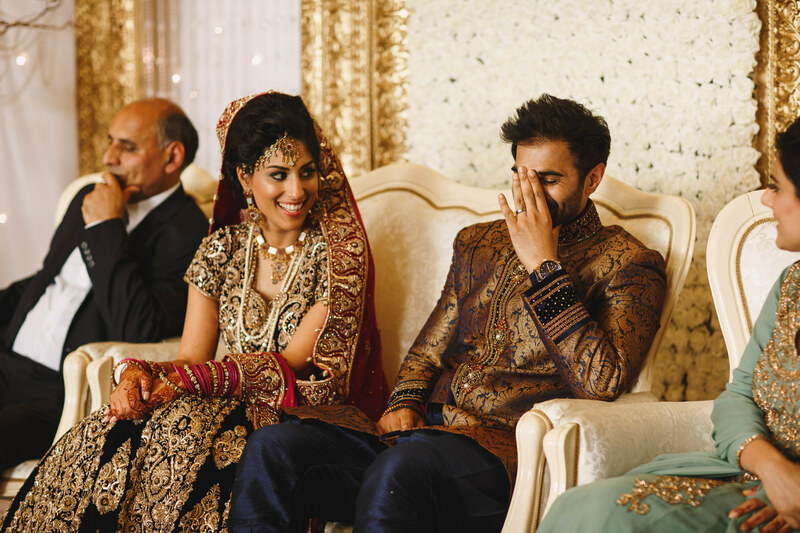 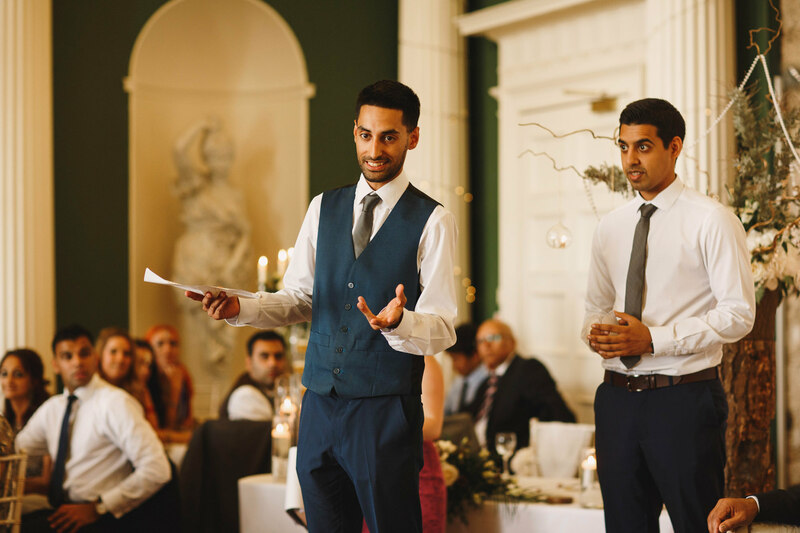 This was their official religious ceremony and it was very interesting for me as it was my first one – following the Imam back and forth as Ireen and Saqib became married without even seeing each other. 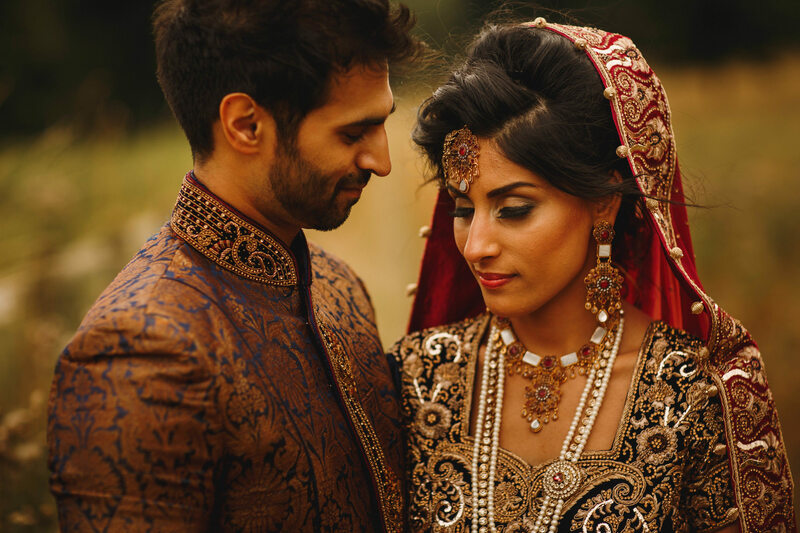 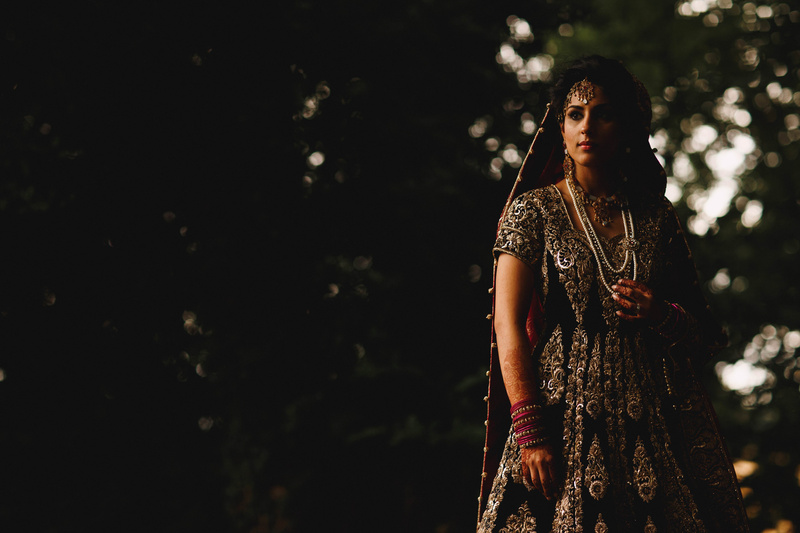 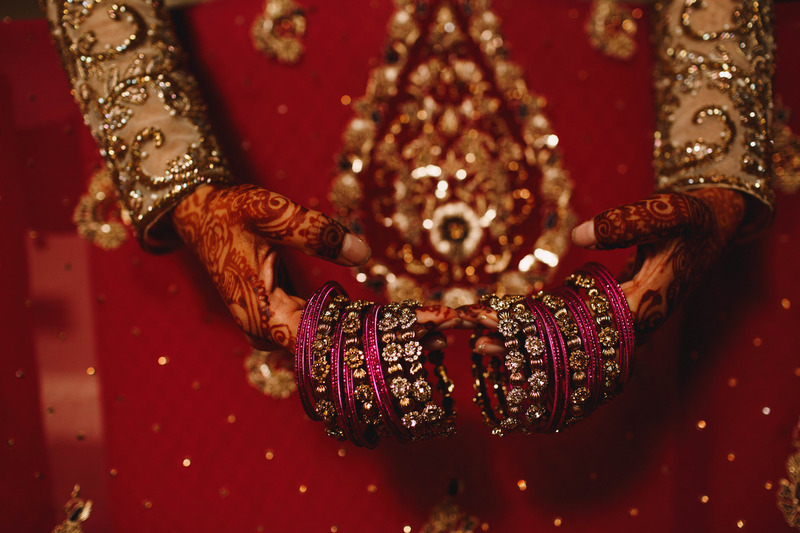 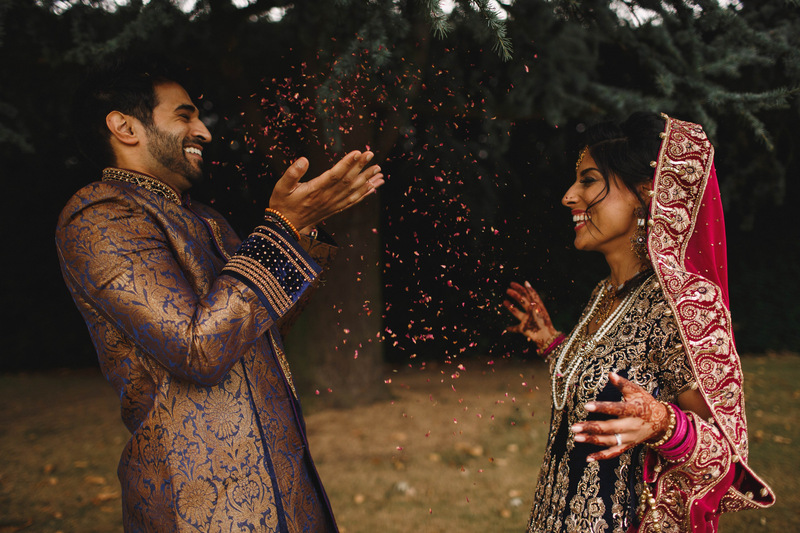 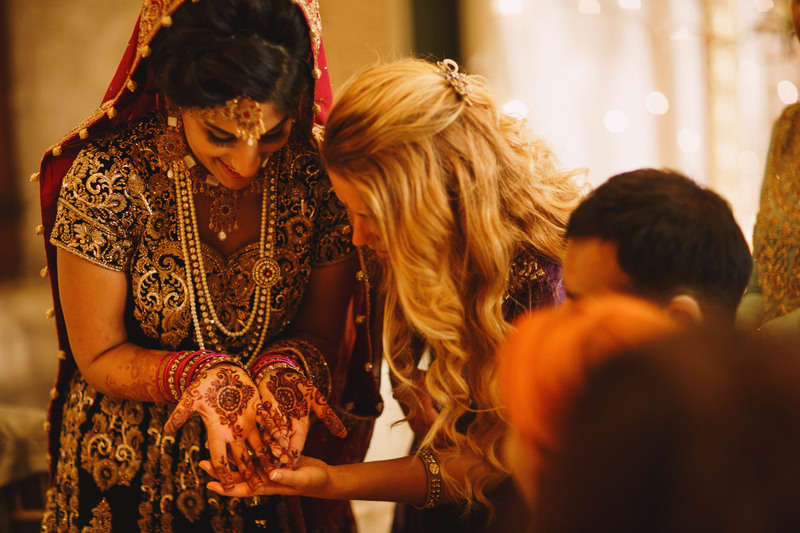 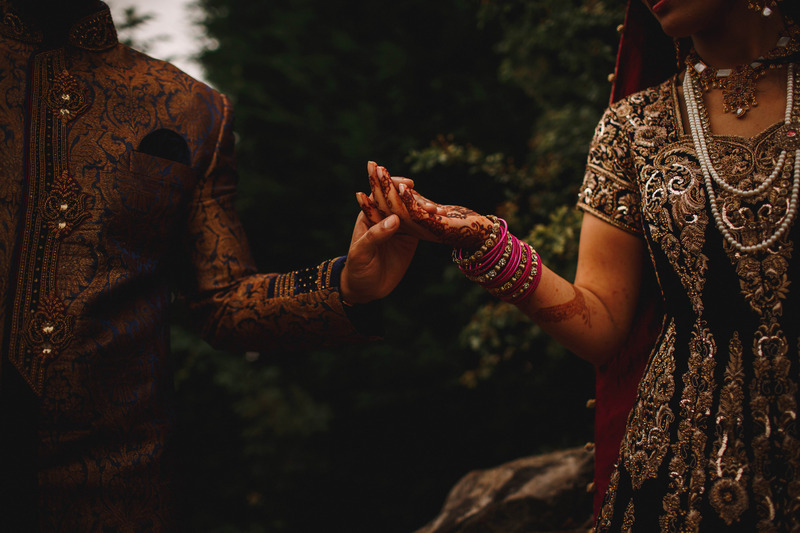 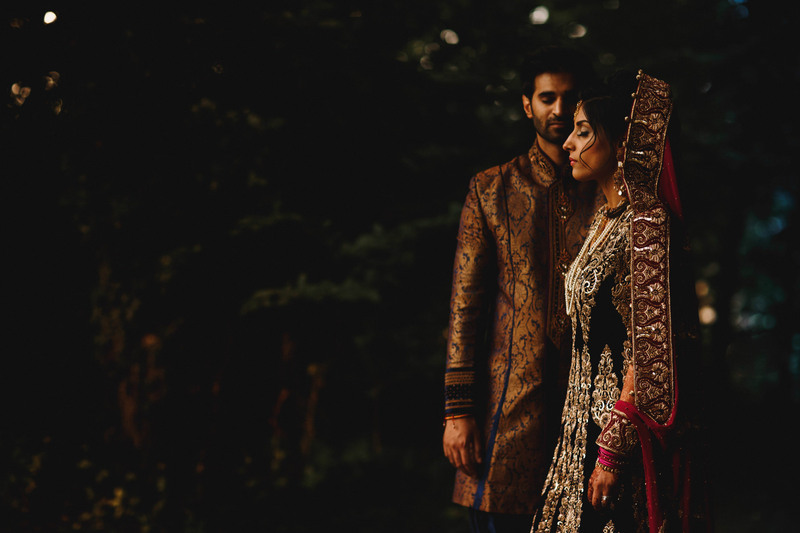 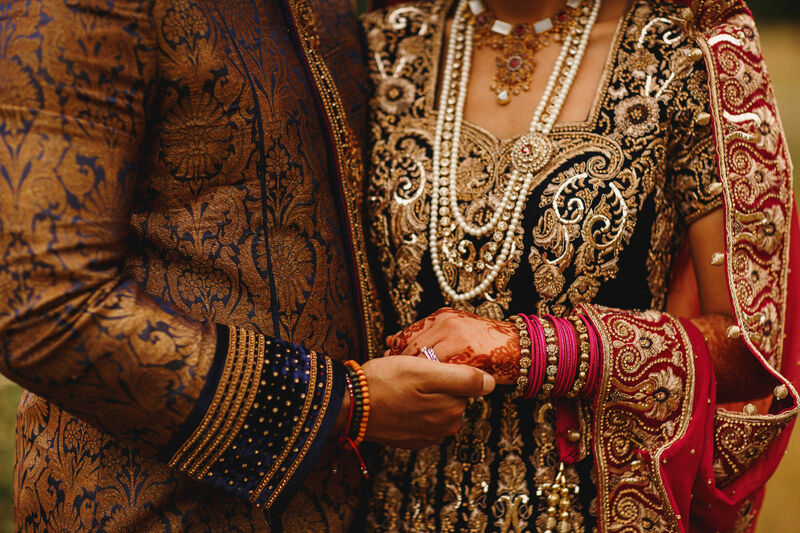 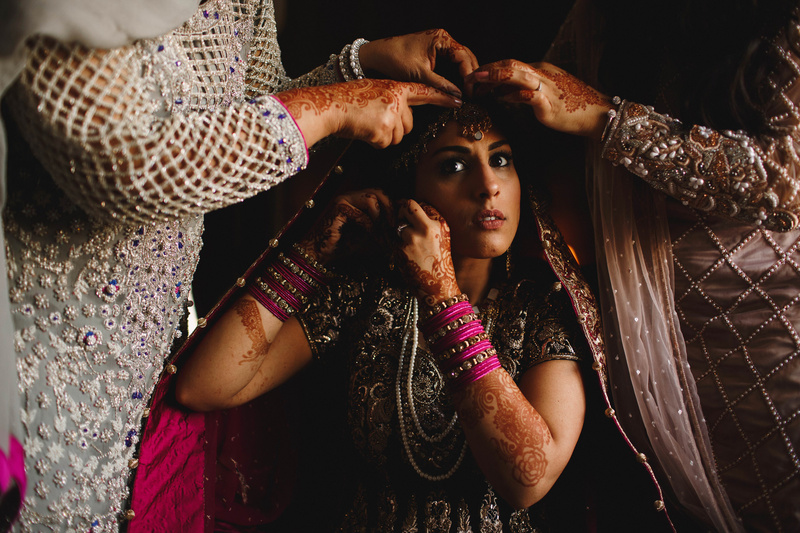 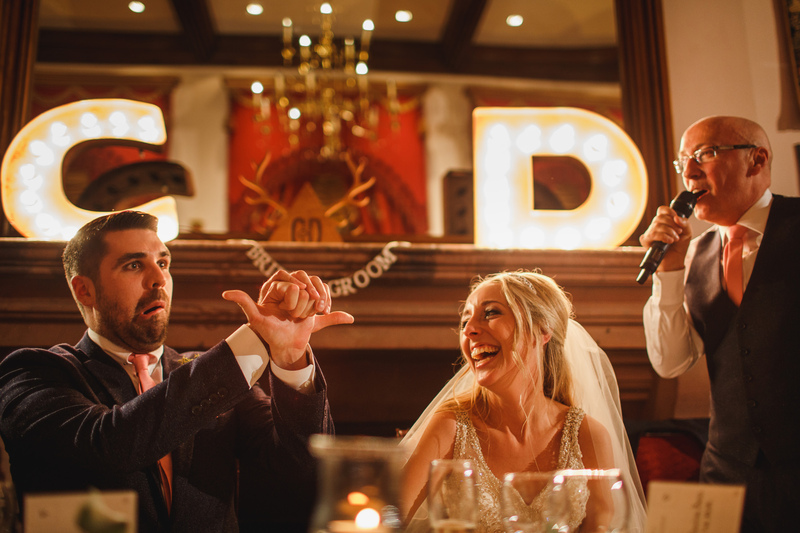 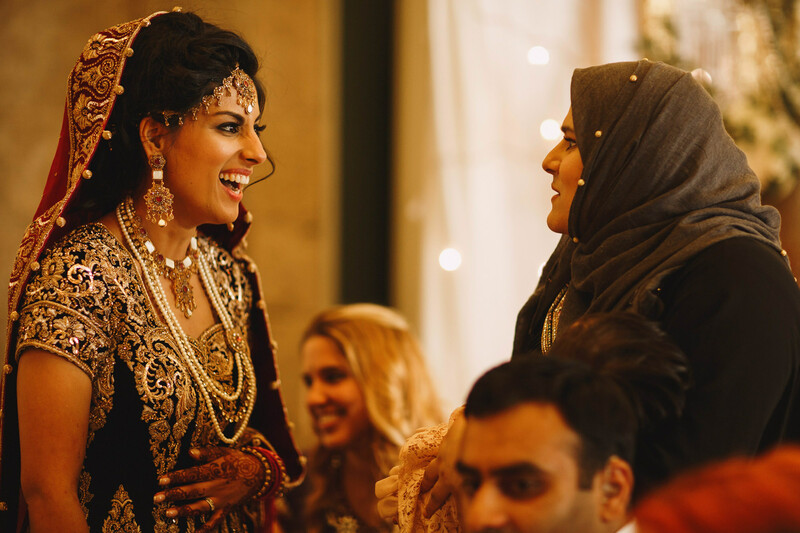 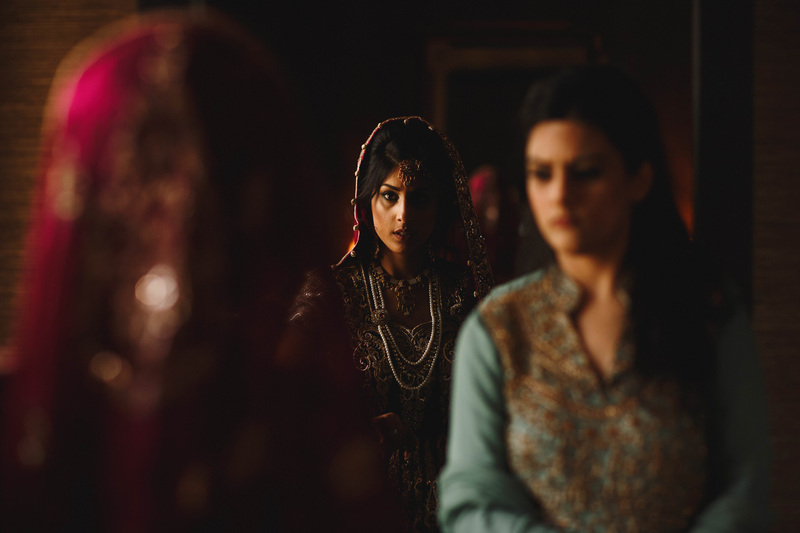 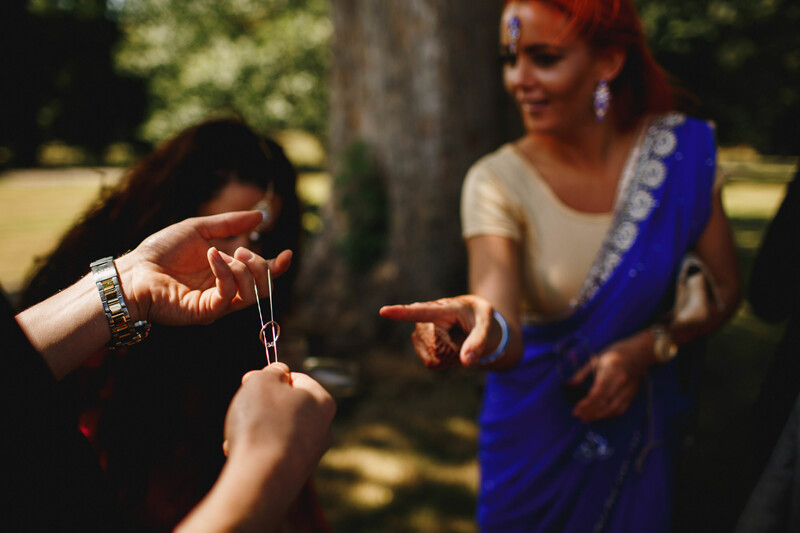 I think one of the most interesting things since being a wedding photographer has been witnessing the different wedding traditions of many different cultures and traditions. 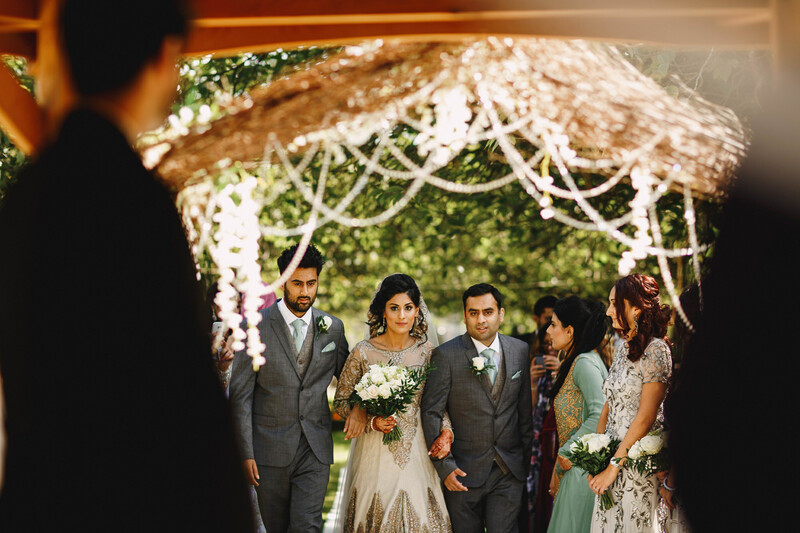 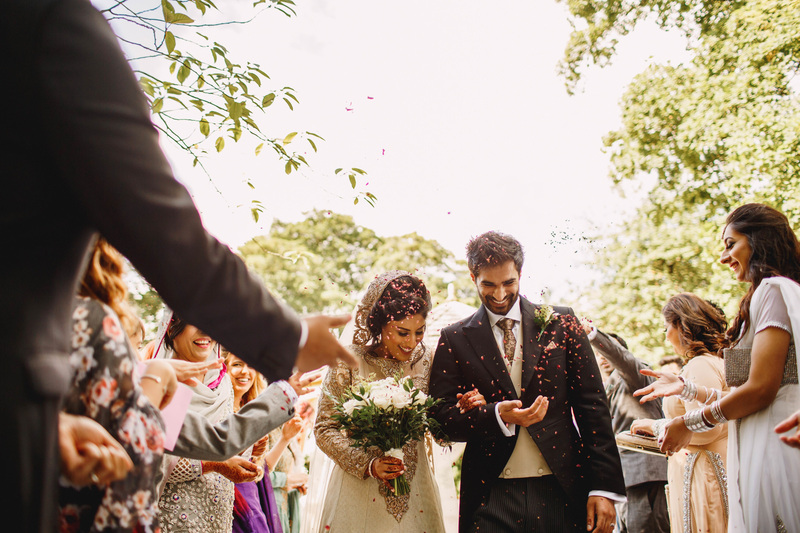 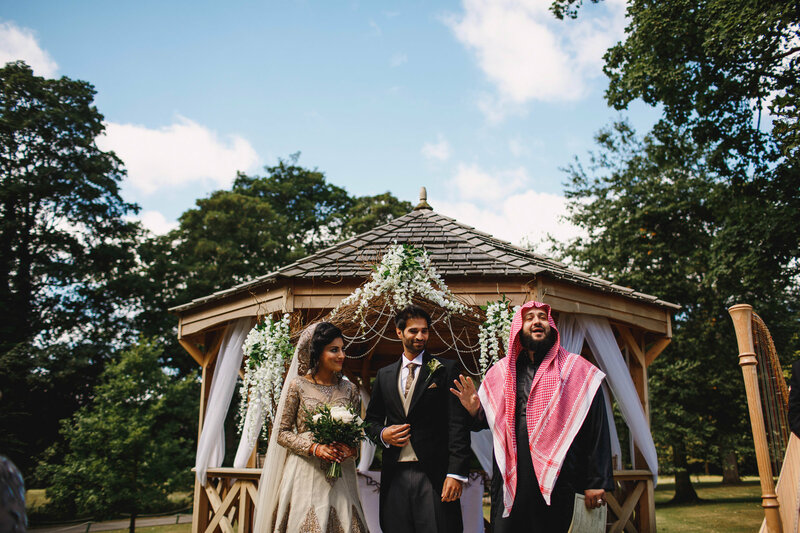 Immediately after the Nikkah ceremony they headed outside for an outdoor civil ceremony in the sunshine, followed by chat, food, drinks and games on the lawn. 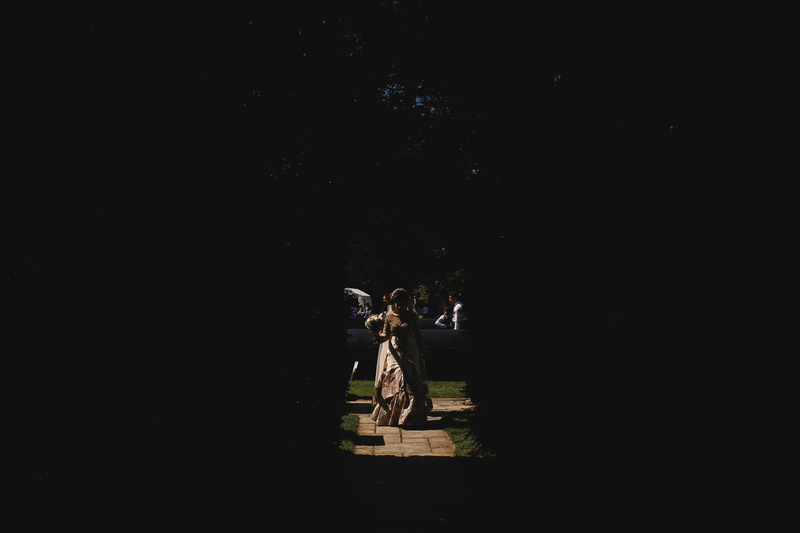 An utterly perfect day for an outdoor wedding. 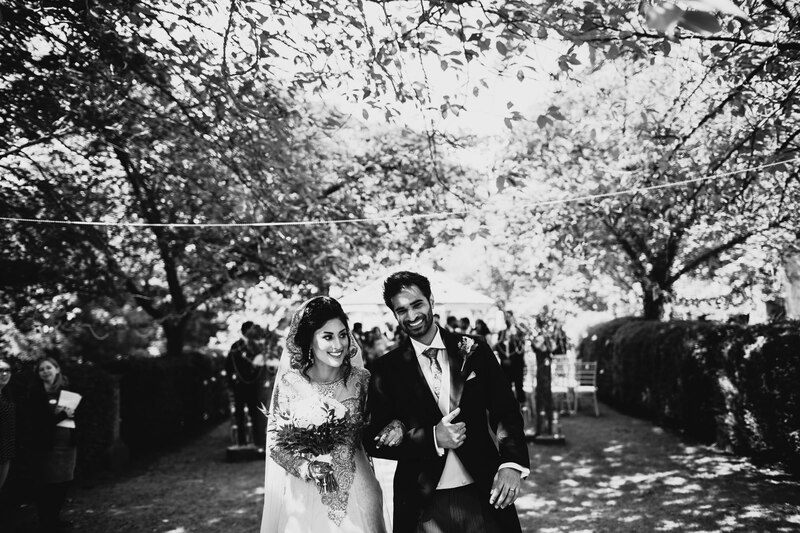 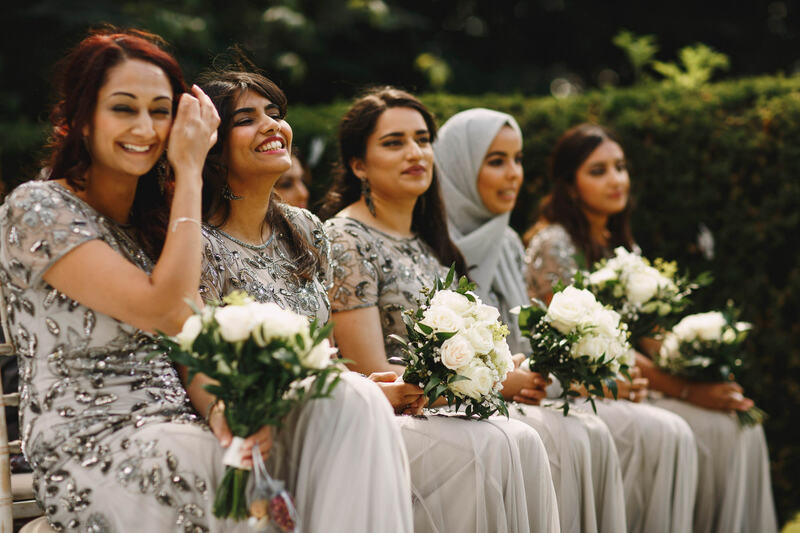 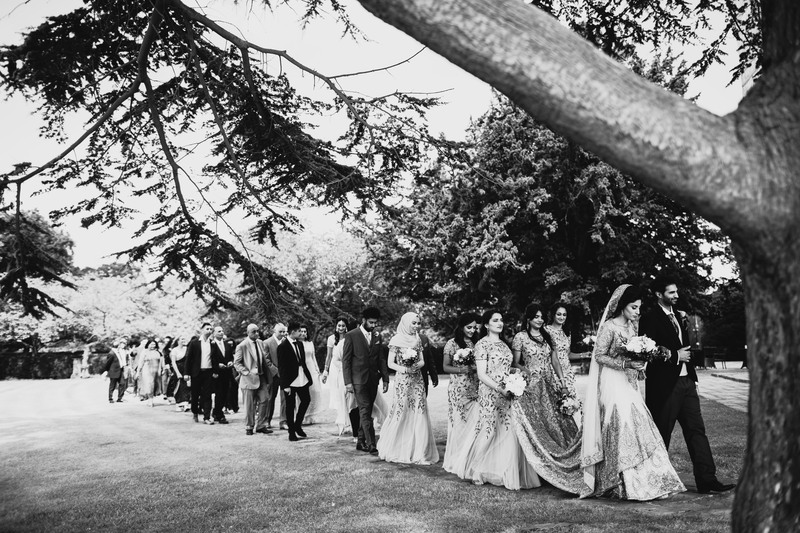 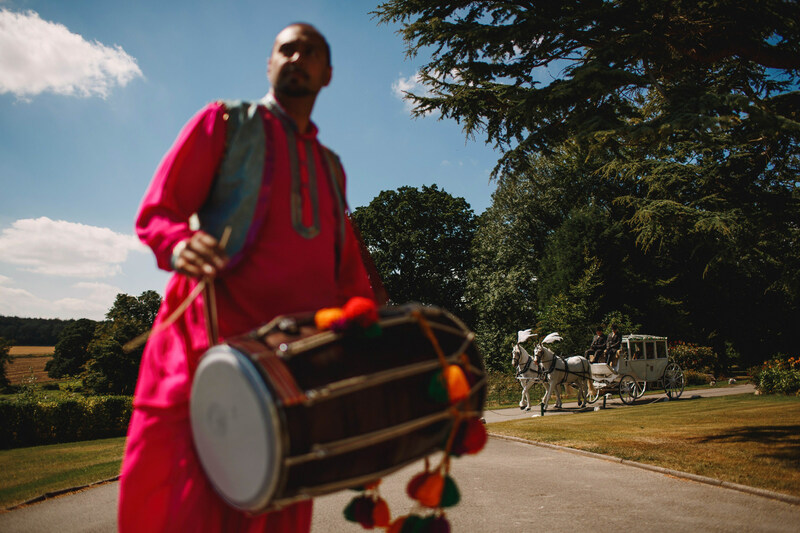 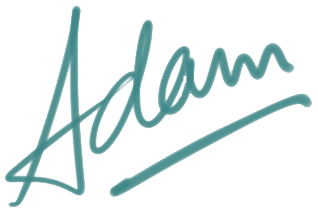 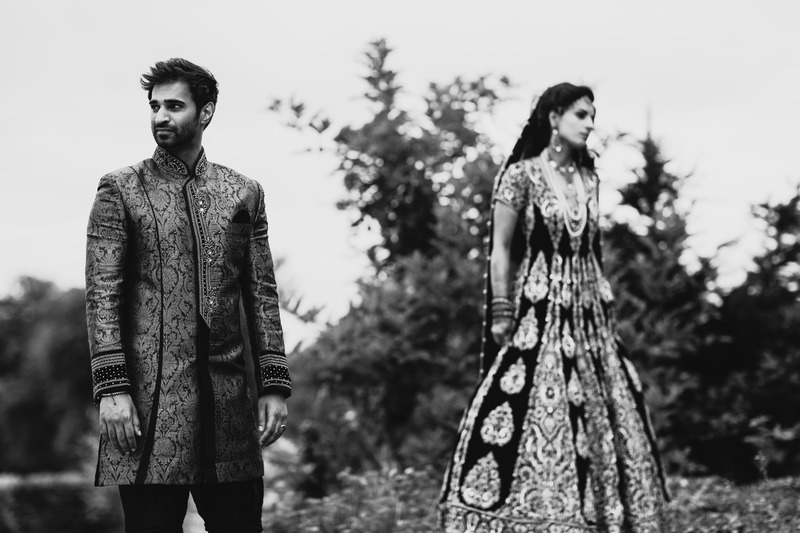 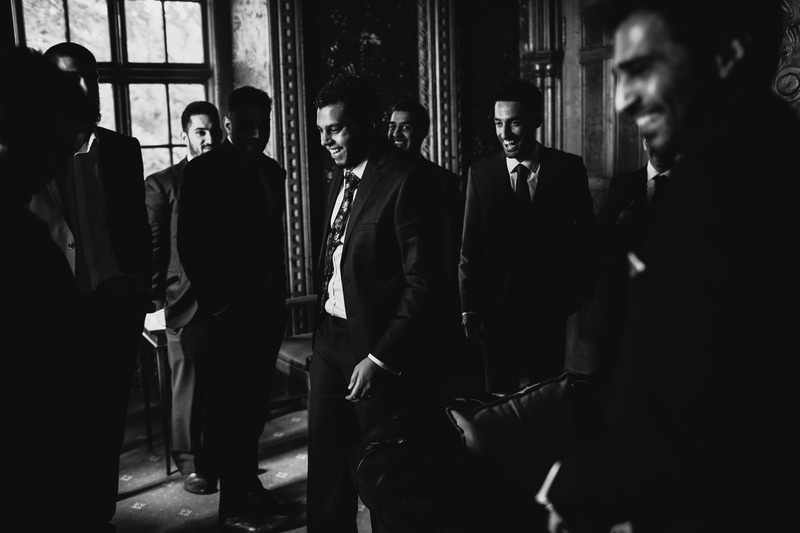 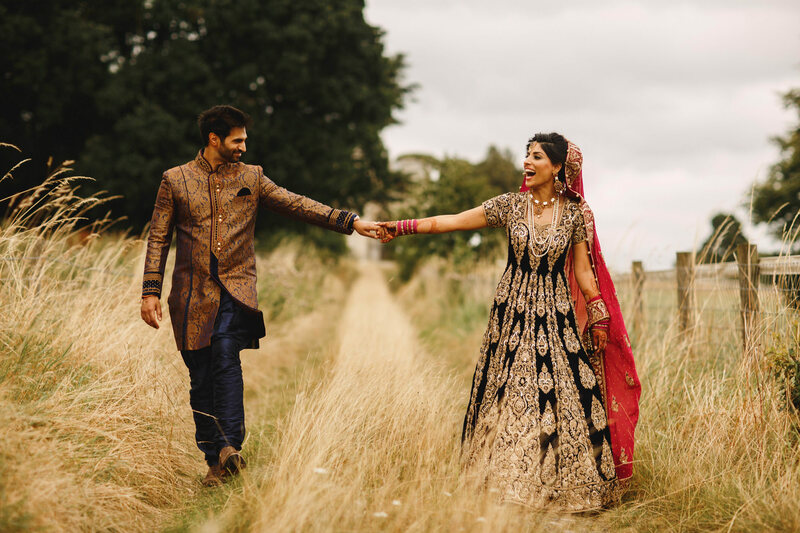 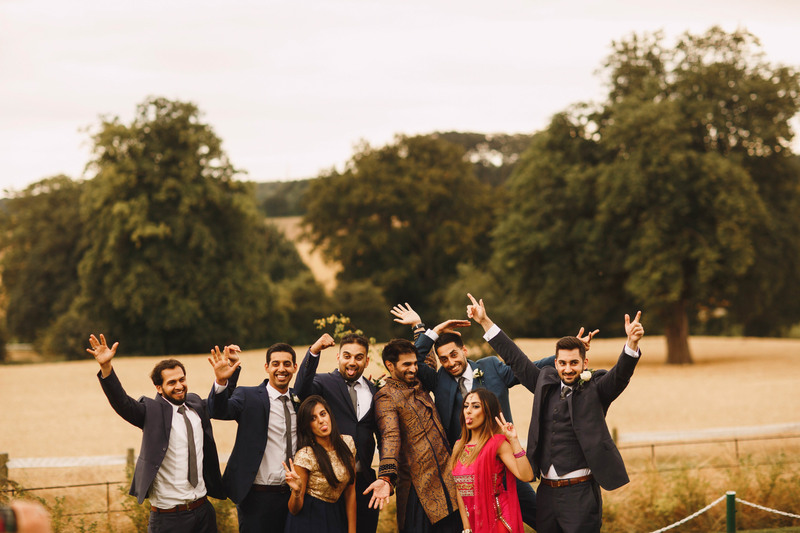 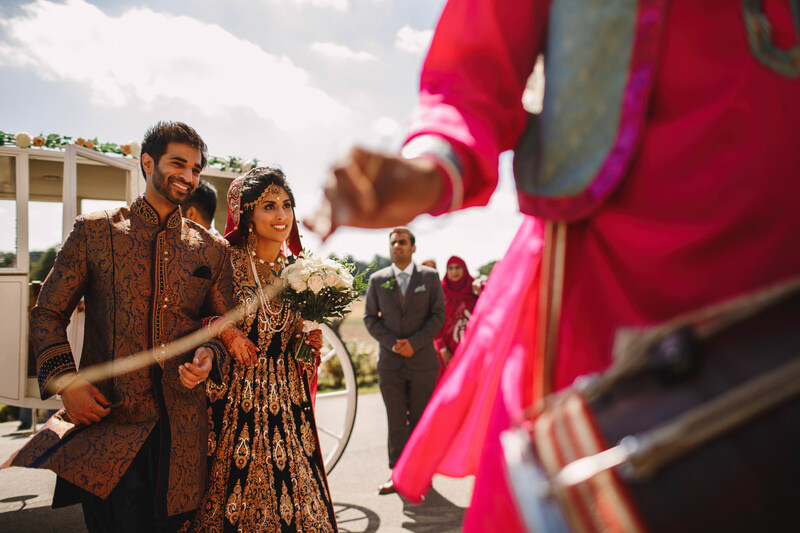 Then they headed back into Hazlewood Castle to change for their reception, before arriving back to their waiting guests in a horse drawn carriage, led in by a dhol player. 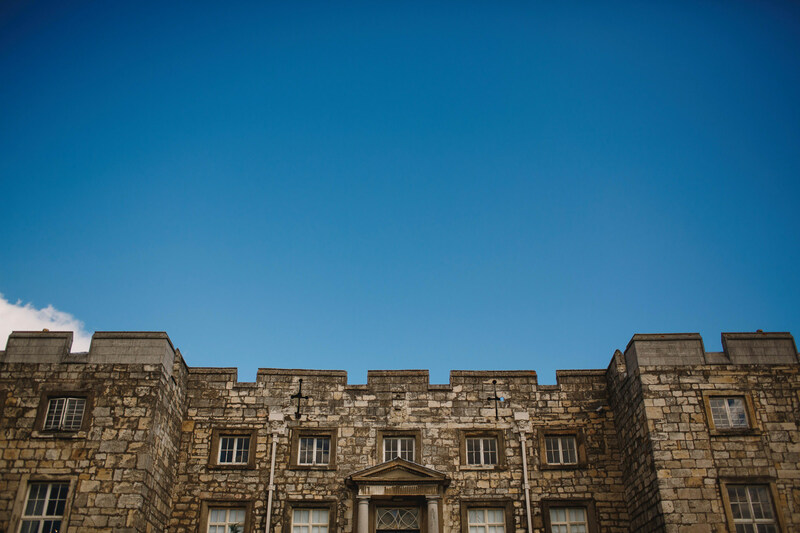 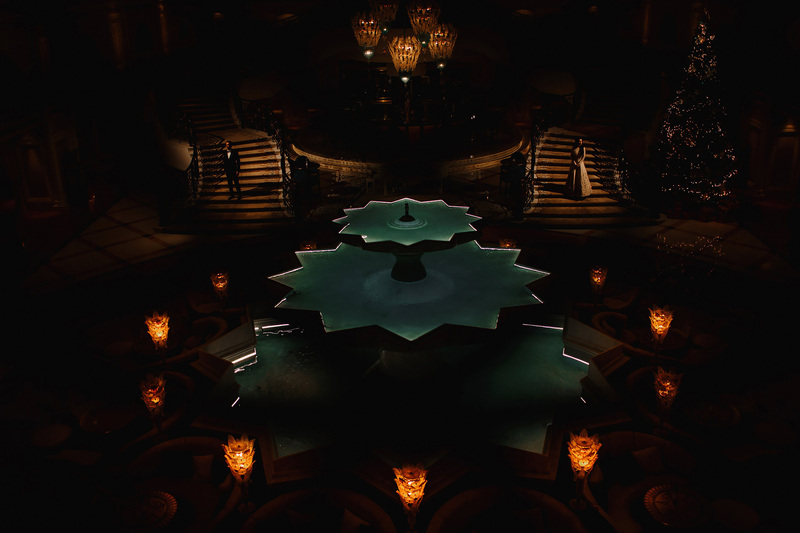 The grandest of grand entrances! 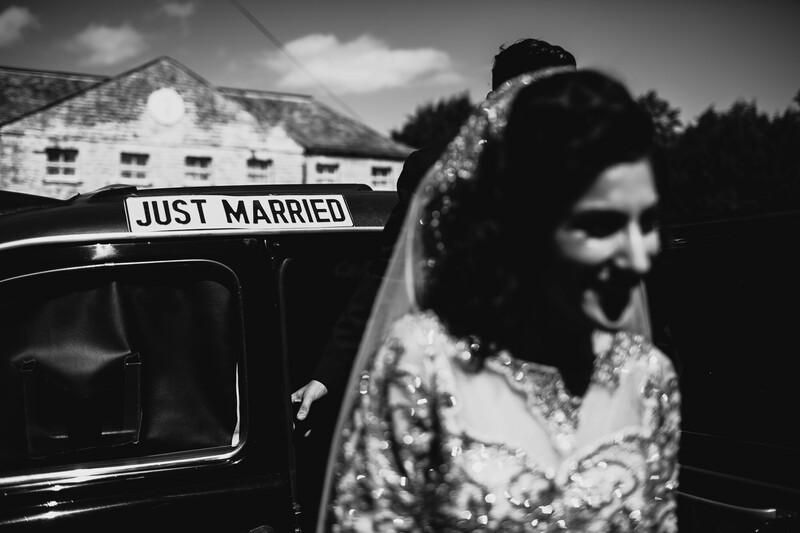 < Paula + Krishan. 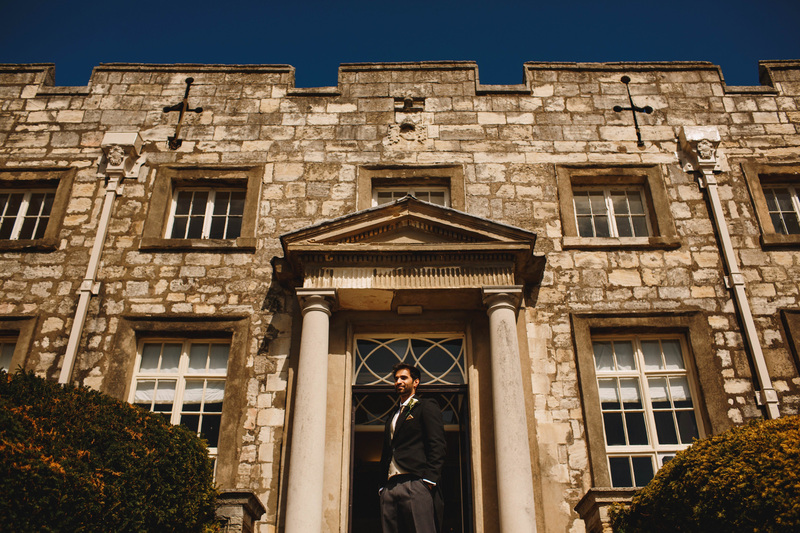 Iscoyd Park and St Mary’s Whitewell.